Mr. President, we make this statement on behalf of a group of NGOs. We welcome the Report of the Special Rapporteur on the situation of human rights in Cambodia and concur with similar concerns expressed by the High Commissioner on the severe deterioration of human rights in Cambodia. Though it is considered by the Council a situation of technical cooperation, Cambodia has not been responsive to recommendations from UN human rights experts. Human rights were undermined before, during, and after recent elections as the independent media and civil society were crippled by judicial and administrative harassment. While acknowledging the recent release of a limited number of unjustly detained human rights defenders, dissidents, and journalists, we note that restrictions on civic space continues in Cambodia in the post-electoral period. This includes the Law on Associations and Non-Governmental Organisations (LANGO); recently introduced lese majeste provisions to the Criminal Code, under which four people have already been charged; and recently introduced broad powers to prohibit or limit freedom of expression online. Cambodian civil society and human rights defenders are under constant surveillance and face reprisals due to their work. Recent research by civil society shows that civil society and trade unions find themselves increasingly under pressure to self-censor. We call on the Cambodian government to repeal all repressive laws; reverse restrictions on freedoms of expression, assembly and association; release all detainees arrested due to their human rights work; and implement recommendations in the report of the Special Rapporteur. 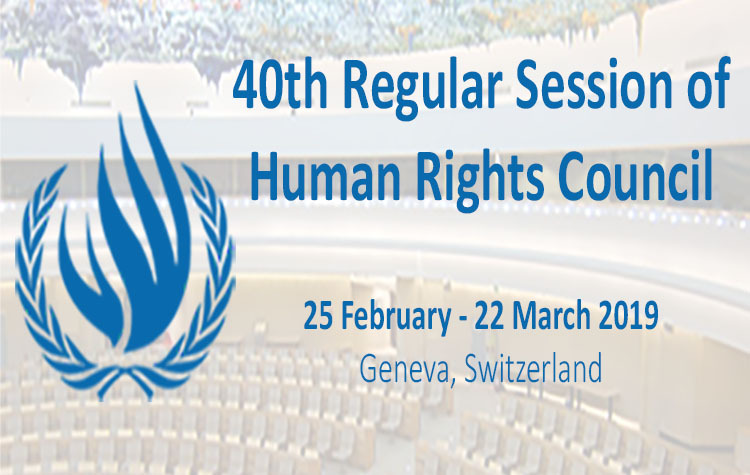 Future technical assistance by OHCHR should also include an assessment of the implementation of the human rights and electoral provisions of the 1991 Paris Peace Accords. For the PDF version of this joint statement, click here.